Yesterday I started a three-week series where I am trying to give folks a sense of how accessible and thrilling the Old Testament is. I am using three mornings for a landmark highlight tour to get a sense of the flow of the history. And in the evenings I am wanting to give a more in-depth look at some of the critical passages that are so easily overlooked. Why are some critical passages overlooked? 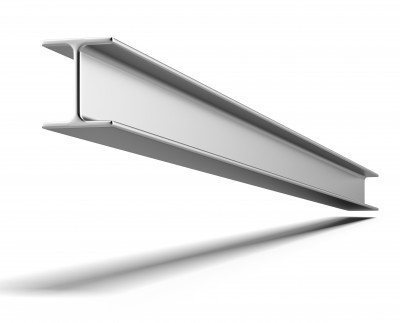 Let’s start with identifying the reasons before considering some of the girders in the architecture of the Bible. 1. Sunday School teaching. Naturally Sunday School teachers tend to focus on narratives that are accessible to children. Perhaps less wisely, they can also tend toward narratives that offer moralistic “lessons” (this can serve to obscure the gospel, but that is a post for another day). So for those growing up going to Sunday school, there will be a bank of familiar stories. 2. Preacher Passage Picks. Whether it is selection of passages for preaching, or choice of biblical allusions and illustrations, preachers also can do the same as Sunday school teachers (perhaps justifiably so in many cases – no point referring to something people don’t know). So for an example, the story of Abraham sacrificing Isaac in Genesis 22 will be reinforced repeatedly, while the Genesis 15 account of the covenant ceremony remains largely unknown. 3. Devotional Reading. Whether people use guiding notes or read the Bible for themselves, they will tend to be directed toward the familiar passages. So there is a reinforcing of passages that may or may not be as “load-bearing” as others. Isaiah 6:1-8 is well known, the rest of the chapter is often overlooked. But which part functions as a girder for the building of the biblical macro-structure? I’m sure there are other reasons to add to this list, but hopefully this gives a sense of the situation. People are more familiar with Psalm 23 than Psalms 2 or 110, even though the biblical reliance on the latter examples is greater than the more familiar 23rd Psalm. This is not about diminishing the wonderful passages that are more familiar. A large part of why they are taught and preached and read and known is because they have made such a difference in peoples’ lives. But perhaps we do need to think about helping folks know some other critical passages more than they typically do.